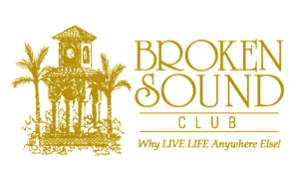 Broken Sound Club (BSC), a 5-Star Platinum Club of America, is the only private club in Florida to be recognized in the 33rd annual United States Tennis Association (USTA) Outstanding Facility Awards Program that was established to stimulate high standards in tennis facilities countrywide and to recognize those facilities whose efforts make a positive statement about the vitality of the game. Broken Sound Club Tennis Director Greg Wheaton will accept the award at the USTA Semi-annual Meeting at the Grand Hyatt Hotel in New York City on Aug. 30. Levine, Aaron Krickstein, Rod Laver and Galina Voskoboeva. In addition to boasting its own successful junior tennis academy and youth summer program, BSC also provides its neighboring Spanish River High School and Grandview Preparatory School the use of the courts and the facility for their high school matches and practices. The USTA, a not-for-profit organization of 750,000 members, serves as the national governing body for the sport of tennis in the United States and the leader in promoting and developing the growth of tennis at every level, from local communities to the highest level of the professional game. It owns and operates the US Open, the highest-attended annual sporting event in the world, and launched the Emirates Airline US Open Series, linking nine summer tournaments to the US Open. In addition, it owns approximately 90 Pro Circuit events throughout the U.S. and selects the teams for the Davis Cup, Fed Cup, Olympic and Paralympic Games. Its national charitable foundation, USTA Serves, provides grants and scholarships and helps underserved youth and people with disabilities. Other private tennis centers recognized this year by the USTA include the Army Navy Country Club – Arlington, Va. (Green Facility); Indian Wells Tennis Center – Indian Wells, Calif. (Featured Facility); LifeTime Tennis Lakeville – Lakeville, Minn. and The Salvation Army – Greenville, S.C.
Cutline: (L-R) Arnaud Delanoe – Junior Program Manager at Broken Sound Club; Erwan Le Ridant – Galina’s long-time professional touring coach who runs the high performance group at the Junior Tennis Academy at Broken Sound Club; Galina Voskoboeva; Greg Wheaton – Director of Tennis at Broken Sound Club.